Based on the concept of a mainframe with plug-in modules, the Genesis offers a wealth of capabilities. Up to 128 channels can be installed within a rack mainframe (56 channels in the portable tower mainframe), and multiple mainframes can be combined to an even larger system. 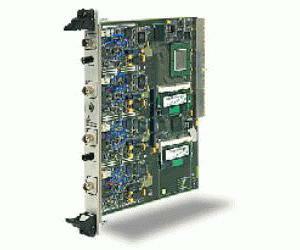 Up to 400 MegaSample memory per board allows for high definition transient capture. Built-in data transfer acceleration gives you an overview of MegaSamples of data within seconds. And with the best performance signal conditioning and 16-bit accuracy, Genesis is the right solution for your difficult measurement task. The basic amplifier signal conditioners give you 8 channels with single-ended or unbalanced differential, isolated inputs on one board. With 200 kS/s or 1 MS/s digitizing rate at 16-bit resolution they are ideally suited for high definition transient recording.